p.s. I updated my links to your new site. Lovely brooches! LOVE the new blog look! What lovely finds you had there, love the books too, I buy them for myself really, but Shhhh don't tell the children that. Beautiful brooches and great books, well done. 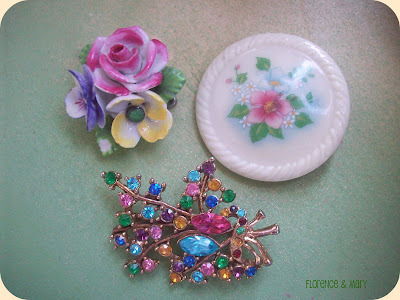 Lovely brooches and what a vibrant blog! Welcome to your new home! Here the phenomenon car boot sale doesn't even exist (crying noises). I love your purchases and the Florence & Mary story. Have a great weekend! Love the finds! 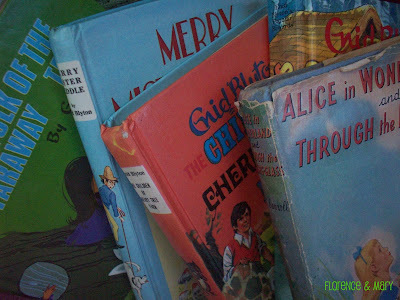 I used to love Enid Blyton, I must have a rummage around my mum's book cases and see if she still has any.